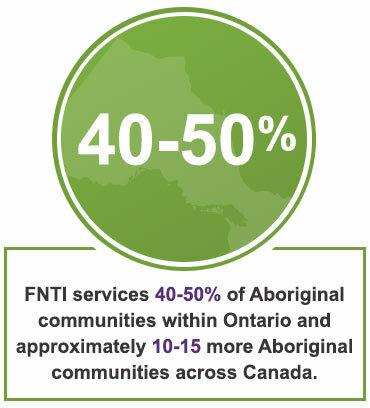 FNTI delivers programs all over Ontario — in First Nations, in large and mid-sized urban centres, and in smaller communities. FNTI features intensive delivery of post-secondary programs. Class sessions usually take place over one week (5 days) every month, or every other month, during the academic year. At FNTI, we provide both academic and individualized student support to help ensure success. All programs have Student Success Facilitators to help students on their learning journey. Cultural Advisors (Elders) attend courses with the students to facilitate cultural understanding, learning and support. FINANCIAL SUPPORT – Tuition fees, travel and accommodation costs may be accessed through several sources, such as: • The Education Office of the student’s home territory or First Nation • Local Delivery Mechanisms • Ontario Student Assistance Program (OSAP) • Scholarships, bursaries and grants. Student bursary funding is available to learners who demonstrate financial need and a strong commitment to their program. We can provide guidance to find the funding option right for you!